the sidewalk still hasn't been cleaned. there is a section between the corner of Glenlake pwy and Glenridge drive that doesn't get maintained. the sidewalk is covered in pinestraw and the grass needs to be moved. This issue has been received by the City of Sandy Springs. Your service request ID is #19-026025. 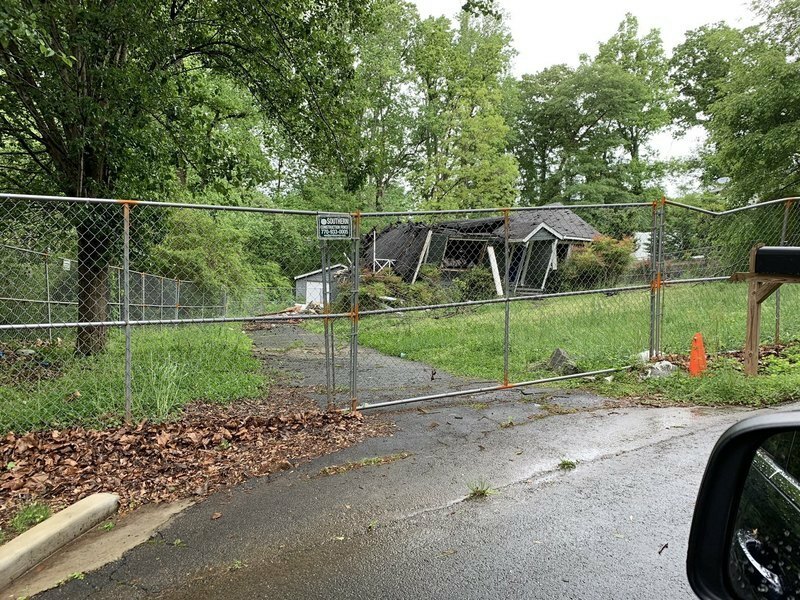 City of Sandy Springs addressed this issue on 04/23/2019, service request #19-026025. A piece of carpet has been at the curb for months. No one is picking it up. It’s filthy. This issue has been received by the City of Sandy Springs. Your service request ID is #19-026436. This issue has been received by the City of Sandy Springs. Your service request ID is #19-026224. 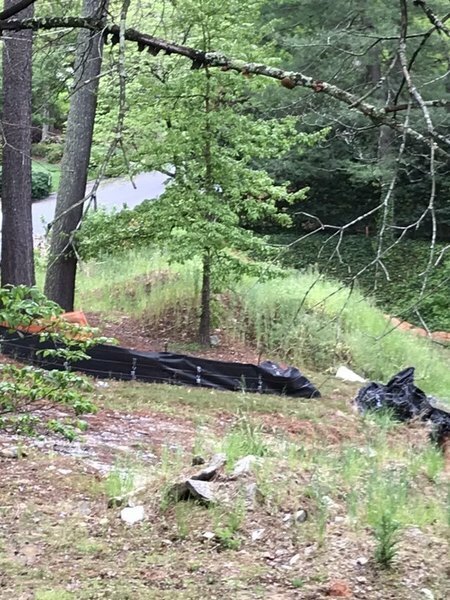 City of Sandy Springs addressed this issue on 04/23/2019, service request #19-026224. This issue has been received by the City of Sandy Springs. Your service request ID is #19-025842. City of Sandy Springs addressed this issue on 04/23/2019, service request #19-025842.
there is a pothole/leak in front of the entrance to former Steak and Shake. looks like the leak has caused the pothole. This issue has been received by the City of Sandy Springs. Your service request ID is #19-026328. This issue has been received by the City of Sandy Springs. Your service request ID is #19-026327. Suspect a water main leak underneath the pavement on Spaulding. There are blue utility markings going down this side of the street indicating a waterline is located here as well. This issue has been received by the City of Sandy Springs. Your service request ID is #19-026308. 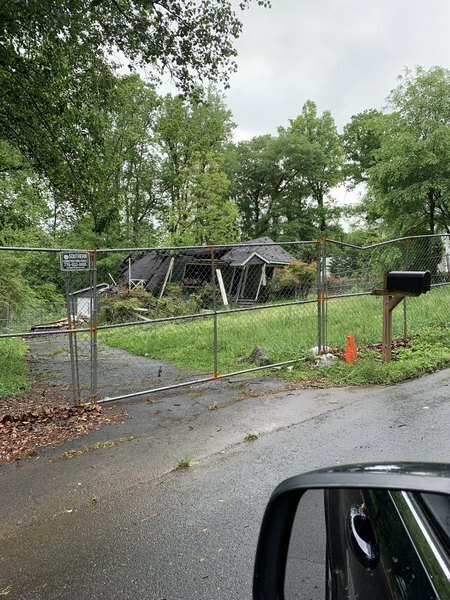 This home is partially collapsed and has a fence around it. It has been in the condition for 2-3 years. When will the owners be required to do something about this property’s condition. This issue has been received by the City of Sandy Springs. Your service request ID is #19-025861. Thank you for citing this property owner the other day. However their "mowing" efforts only cleaned up the perimeter of the property. There are still chest high weeds throughout. The white "flowers" in the attached image are actually weeds going to seed. These are less than 10' from the curb. The mounds of dirt and concrete that have been dumped on the lot over the last 11 months are covered with foot high grass and weeds. Please make this developer clean this mess up. He's made us live with it for almost a year and we are over it. This issue has been received by the City of Sandy Springs. Your service request ID is #18-060731. 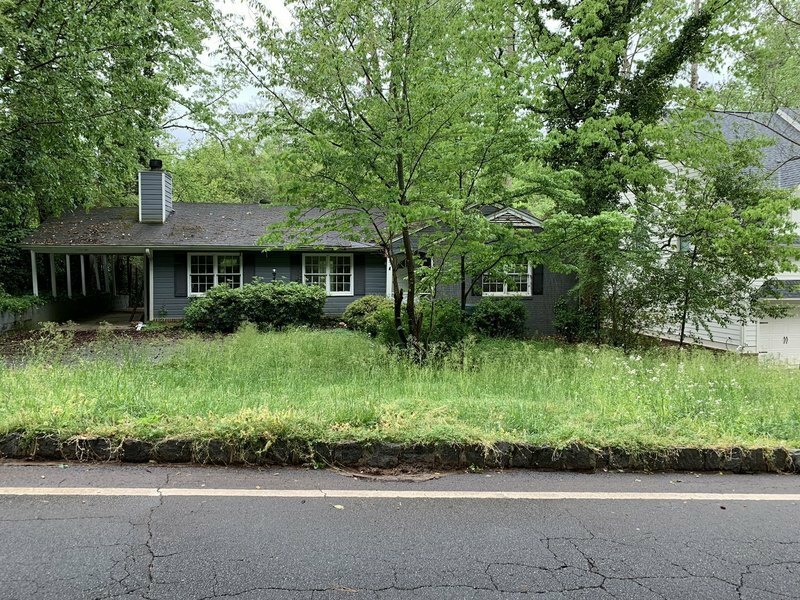 The homes of 65 and 59 Spruell Springs Road are overgrown yards and appear vacant. Seen foxes, rats and other rodents in both yards. The yards are never cut and houses are not maintained. This issue has been received by the City of Sandy Springs. Your service request ID is #19-025860.